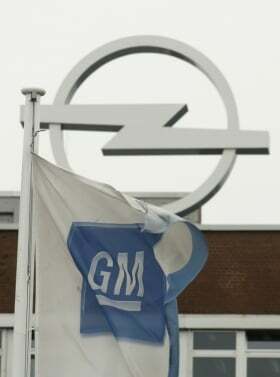 Opel, General Motors Co.'s European unit, is planning to introduce a premium model above its top-of-the-range Insignia as well as an electric car smaller than its Ampera, Opel's new head told a German paper. "The Opel brand can't content itself with the Insignia," Karl-Friedrich Stracke, head of Opel since April, was quoted saying in an interview with Welt am Sonntag. The model would come to market in four to five years in a new crossover segment not directly competing with models offered by BMW AG, Daimler AG's Mercedes-Benz or Volkswagen AG's Audi, Stracke added. The company also intends to launch another electric car the size of the Corsa hatchback or the Agila subcompact in addition to its Ampera, a version of the Chevrolet Volt, the head of Opel was quoted as saying. Stracke also wants to push Opel's expansion outside its European domestic market, he said. "I believe that we can achieve a level of about 150,000 vehicles that we can sell annually outside Europe in three years time." His predecessor Nick Reilly, now chairman of Opel's supervisory board, had previously targeted a figure of around 100,000 units. Stracke said Opel has the green light from parent GM to expand outside Europe as long as it is profitable and complements GM's other brands. Earlier this month Reilly told journalists that Opel plans to start selling cars in Israel "fairly shortly," as the German brand expands worldwide to markets including South America and Asia. The carmaker will begin deliveries to Argentina and Chile later this year and is sticking to plans to sell cars in China and Australia in the future, he said.